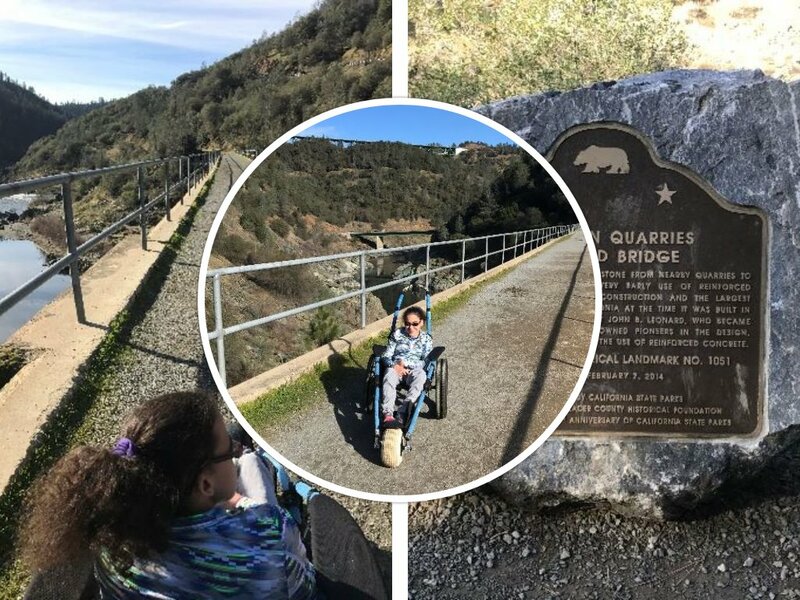 Our New Year's Day hike started and finished near the Mountain Quarries Railroad Bridge, a.k.a. the No Hands Bridge, so named by locals for the years the bridge didn't have hand rail protection. Completed in 1912, it was the largest bridge constructed with reinforced concrete. It survived the Hell Hole Dam collapse 53 years ago when many other bridges in the canyon were demolished by the rush of water.